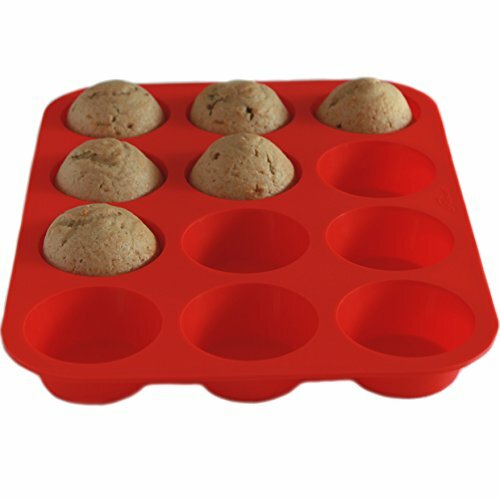 12-cup Muffin Cupcake Pan - BPA Free, Non-stick, 100% Food Grade Silicone - Non Stick - Lifetime Warranty! Product prices and availability are accurate as of 2019-04-07 02:24:31 UTC and are subject to change. Any price and availability information displayed on http://www.amazon.com/ at the time of purchase will apply to the purchase of this product. 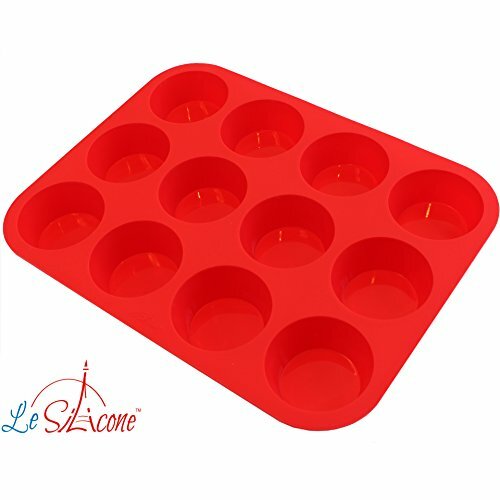 With Le Silicone's 12-Cup Muffin Pan you can enjoy a more hassle-free baking experience with an easy clean. 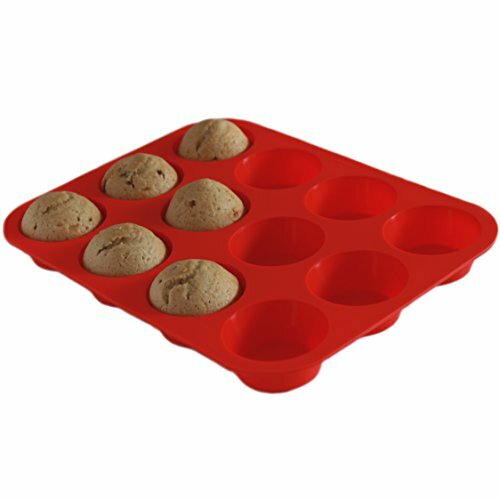 Our Muffin Pans are polished on the inside to prevent food from sticking to the surface! 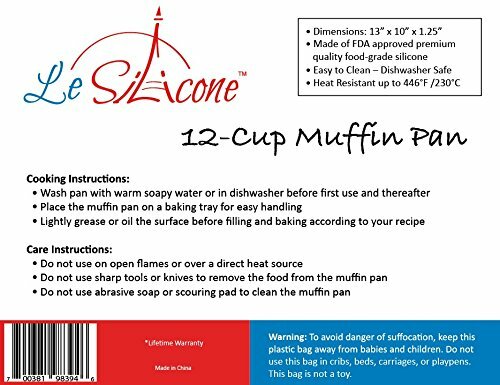 Your muffins will effortlessly slide right out without breaking apart or leaving a mess in the pan. Just follow the instructions to your favorite recipes and enjoy! Once you are done baking, you can wash the pan in the dishwasher or with the soft side of your sponge. Finally! Baking made easy! Bon Appétit!